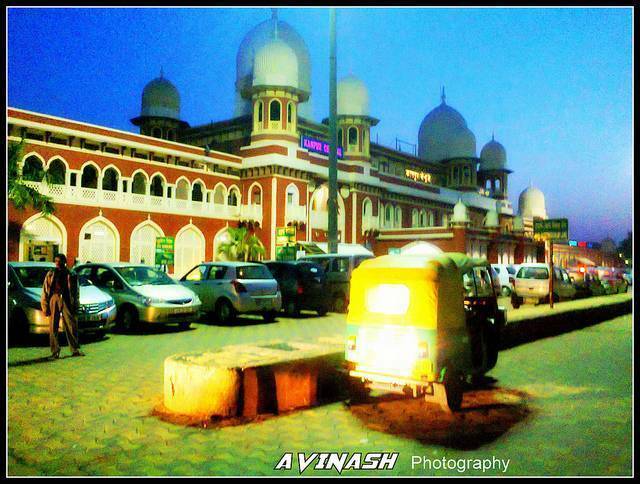 Kanpur is one of the biggest cities of Uttar Pradesh State of North India. It is also an important industrial town in the state. Kanpur is often termed as “Manchester of Country”. There are various theories regarding the name of the city. Few says that the original name of the city is “Kanhiyapur “(meaning “town of Kahniya”). A few believe that the land is named after “Karna “ a hero in great Indian Epic “Mahabharata” and so it derived its name from “Karnapur”. As per historical facts Kanpur was established by Chandela Dynasty. Even though the city was not mentioned in historical documents, the suburbs like Jajmau and Bithoor were mentioned. Thus the city has a significant part in the Indian history. It was in 12th century that the city was established as a small settlement by Raja Kanti Deo of Kannauj Dynasty. After the rule of Mughals and British, the city gained its significance. Kanpur has faced the major “Indian Rebellion” (First war of Indian Independence) in 1857. Standing on the banks of River Ganges, Kanpur gained cultural, traditional, industrial and commercial importance in the course of time. One of the most prestigious education institutes of India, the IIT Kanpur, is here. There are many natural parks and zoos where kids can play and enjoy nature. Historical monuments like Bithoor fort, JK Temple, Ganges Massacre Ghat, Kanpur Memorial Church, etc. attract most people. Hotels like Mandakini Palace, Hotel Royal cliff, Hotel little chef, etc. in Kanpur provide an excellent stay for tourists, apart from several budget hotels. Kanpur has many restaurants with different types of cuisines for tourists. Do visit the Thaggu Bhai Sweet Stall to taste few luscious Badnaam Kulfis available there. Mithas Sweet is offering some delicious treats for tourists at fair rate. Tourists can have amazing shopping in Kanpur. The city is renowned for its leather goods and furnitures.